Municipal ballots in New Haven won't have Terry McDonald's name on them for the first time in two decades. The mayor, first elected as a Democrat in 1999 and reelected four times as a Republican, is retiring at the end of his term. The open seat has yet to draw a Democratic candidate, but three well-qualified Republicans are vying to replace McDonald. Of the three, City Council President Steve McMichael stands out as best equipped to succeed him. McMichael is owner of Re/Max Imagine Real Estate in New Haven. He has served as chairman of the New Haven Chamber of Commerce and vice chairman of Paulding-Putnam Electric Cooperative. He also has served as president of the board of zoning appeals, the redevelopment commission, plan commission and economic development commission. He was a member of the police merit board. McMichael was an early participant in efforts to make funding of bridge projects more equitable countywide. McMichael acknowledges New Haven's biggest challenges, including sewage and water utility rates. New Haven contracts with Fort Wayne for those services and is under a consent decree from the state to build a $12.5 million stormwater storage facility. He said he doesn't believe the $85 million to $100 million cost to build a utility plant is “doable,” but notes his service on the electric co-op board will be helpful in seeking solutions. McMichael wants changes in city government that would weaken the authority of the mayor's office, including a requirement for contracts exceeding $50,000 to be approved by city council instead of the board of works. He said he will introduce an ordinance later this year. McMichael's 20/20 Vision plan seeks to increase New Haven's population of about 15,000 residents to 20,000 by 2025. 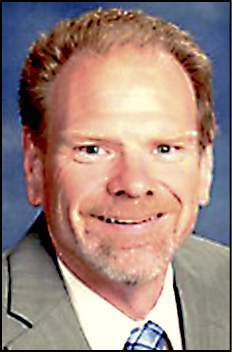 Bob Nelson, president of the East Allen County Schools board, also is a candidate. A marketing and public relations professional, he has a thoughtful plan that focuses on residents' views, support for all New Haven schools, encouraging pride in the community and enhancing public safety. He wants to reestablish a youth advisory committee and create a clergy committee. Steve Poiry, a 29-year New Haven police officer and former police chief, is the third candidate. Each of the candidates has a clear passion for improving the city, but McMichael also has the range of experience to make a difference there.